Coinye lives! 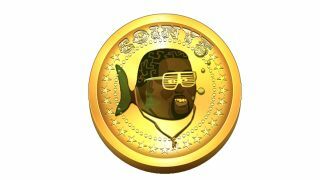 The Kanye-bothering cryptocurrency is back, and working on some new features that we're sure will be as thrilling as made up money can possibly be. Anyway, enjoy it while it lasts - can't see Coinye existing as Coinye for long once West's lawyers hit their stride. "Contrary to popular media opinion, we are not dead," proclaims Coinye's website. Can't think what might have made this opinion so popular amongst the media. Probably nothing to do with Coinyetheco.in saying so. Kanye West hasn't tried to kill blips. YET.